Let the Rocket Factory amaze you with their funny experiments.Learn how a baloon can become an incredible rocket and make fun races with rockets! 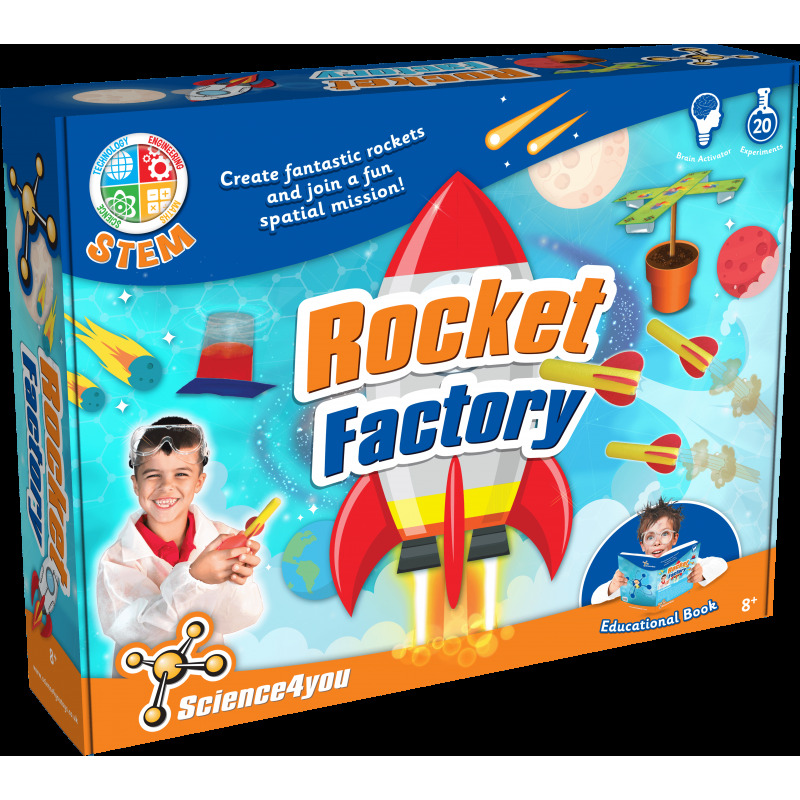 You will have loads of fun while learning about astronomy and the science behind rockets and the space. Find out more and make your first steps to become a real astronaut with Science4you! • How to turn a balloon into a rocket. • How water can work against gravity. • How to make water automatically ascend. • What is the wind strength. 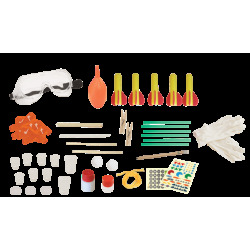 • How to create spatial and chemical rockets. 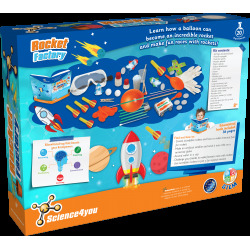 This toy also includes up to 20 experiments for kids as well as an educational book with 36 pages.